Pulse, a snaking public art piece linked to the Dilworth Park fountain in Philadelphia, will soon be showing commuters what’s going on underneath their feet. 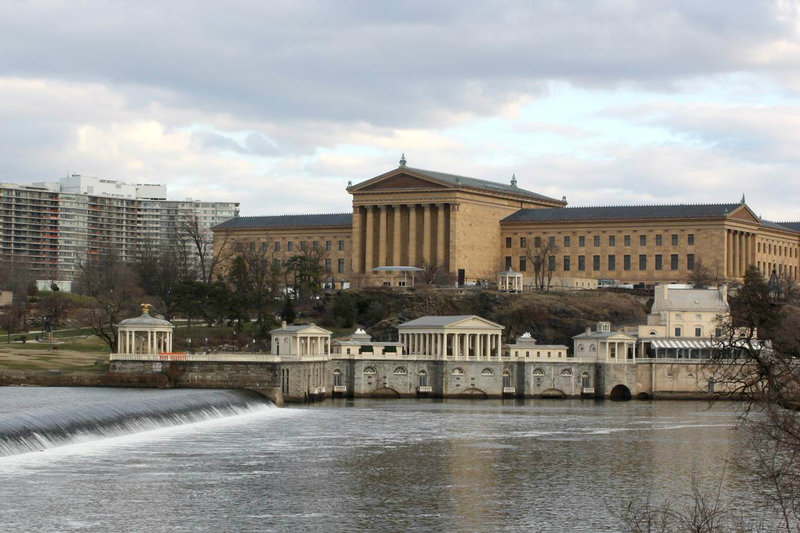 The fountain sits in front of Philadelphia City Hall in Center City, and sculptor Janet Echelman will soon be realizing a light-and-mist installation that will track underground SEPTA trains in real time, thanks to a $325,000 grant from the William Penn Foundation. 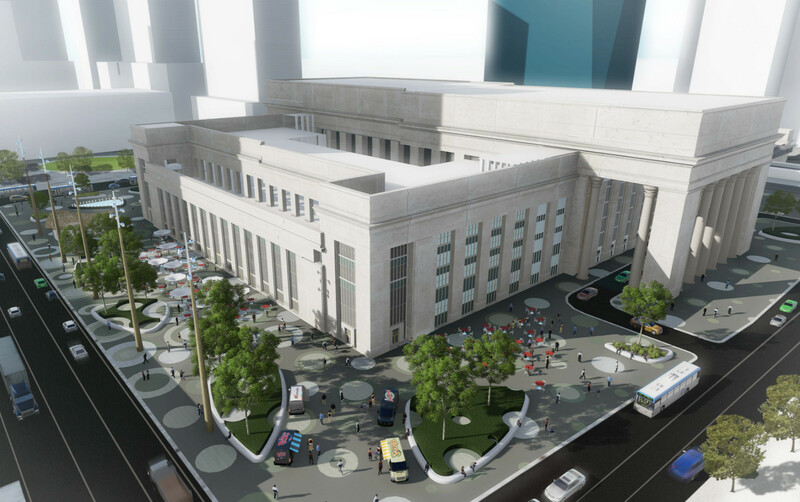 The project was originally commissioned in 2009 by the Center City District Foundation (CCD), and major pieces of its foundations were embedded in the surrounding plaza when the park’s fountain was built in 2014. Pulse, described as “a living X-ray of the city's circulatory system” by the artist, would create four-foot-tall walls of colored mist that track the trains passing below, specifically, the green, orange, and blue lines. Separate tracks of light embedded in the concrete would project into an atomized mist to create the kinetic effect. Echelman worked closely with the park’s architects, OLIN, to integrate Pulse’s infrastructure into the plaza redesign.' 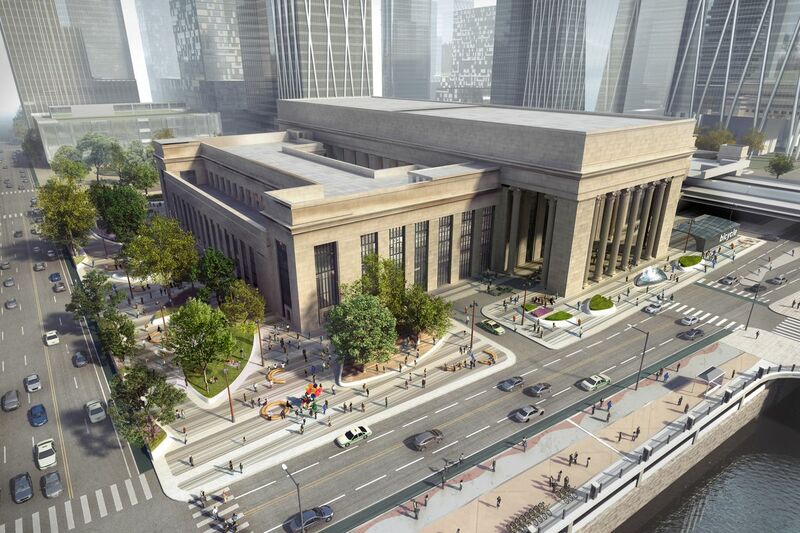 ﻿ The $325,000 grant that the CCD announced last Monday will cover the construction of Pulse’s green section, which would follow SEPTA’s underground green line trolley. The installation of that phase will come to life this July, though the CCD is still seeking funding for the remaining orange and blue line tracks. The project was conceived as a tribute to Philadelphia’s first water pumping station, and Echelman was brought on board to design the piece back in 2010. However, the CCD has been trying to drum up the $4 million required to complete and maintain Pulse ever since it was announced (though a $20,000 National Endowment of the Arts grant awarded last year helped to get the ball rolling). The Carnegie International is the oldest exhibition of contemporary art in North America, founded by industrialist Andrew Carnegie in 1896 just one year after the first Venice Biennale. The exhibition was designed to help identify the “Old Masters of tomorrow.” The recent announcement of participating artists in the 57th iteration of the International, which opens on October 13, 2018 at the Carnegie Museum of Art (CMoA) in Pittsburgh, is a look at who these new "old masters" might be. Curated by Ingrid Schaffner, who was chief curator at the Institute for Contemporary Art in Philadelphia before taking the helm of the International in 2015, the list lives up to her reputation for taking an expansive approach to contemporary art. While only one artist has an architectural background—Saba Innab, an architect and urban researcher practicing between Amman and Beirut—several of the exhibition’s artists explore questions of territory, body, commodity, craft, agency, and spatial practice. The participants are all working on site-specific works for the CMoA, so this International will certainly be an immersive and provocative museum experience. Here’s a look at what’s to come. 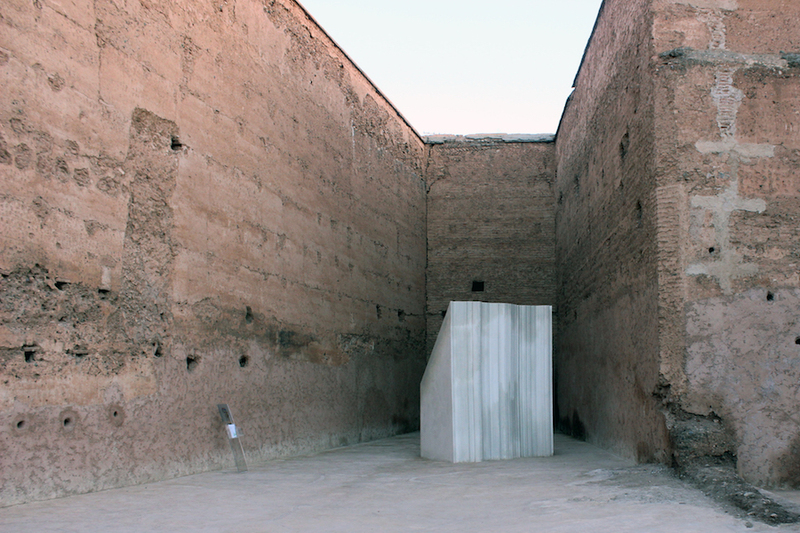 Innab’s work, pictured above, explores the relationship between architecture and territory, exemplified by her cast depicting the rock of Gibraltar in the 2016 Marrakech Biennale. It is fitting, then, that she will install work in dialogue with the Carnegie Museum of Art’s Hall of Architecture, a historic collection of plaster casts of building fragments from around the world. Postcommodity, an interdisciplinary arts collective that explores “Indigenous narratives of cultural self-determination,” will also address spatial and cultural politics head-on. Their recent work, Repellent Fence (2015), for example, was a 2-mile work that consisted of 26 balloons stretching across the U.S.-Mexico border. The design of the balloons references both indigenous iconography and “an ineffective bird repellent product,” and signal unity between indigenous peoples, the land, and history. Park McArthur is a New York-based artist whose work examines notions of accessibility, agency, and the city. 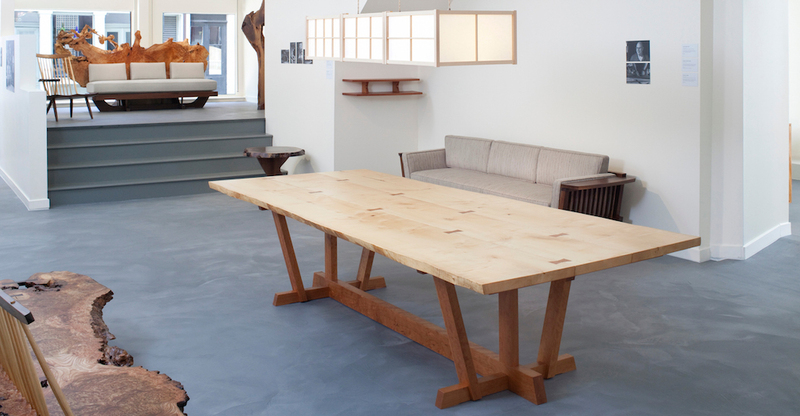 Her 2014 exhibition at ESSEX GALLERY, for example, gathered the improvised ramps used by twenty galleries in Lower Manhattan in a minimalist arrangement on the gallery floor. Similarly, at SFMOMA in 2017, where she displayed design drawings and improvised ramps made by family and friends to accommodate her wheelchair in everyday spaces. The Carnegie Museum of Art’s Heinz Architectural Center will host works by Jessi Reaves, known for her sculptural furniture that looks both familiar and somewhat grotesque, with common materials assembled in unsettling combinations that plays with ideas of incompletion in art and design. Reaves’ voluptuous recliners will neighbor work by Beverly Semmes and her Feminist Responsibility Project (FRP), which explore issues of censorship and the female body overlaying paint onto pages of “gentlemen’s magazines.” The FRP is one project in Semme’s practice, which otherwise operates at an architectural scale. Schaffner describes Beverly Semmes' art as flowing “from the female body and out into the landscape,” with flowing dresses the scale of a room. New Dehli-based photographer Dayanita Singh’s concern for the physical relationship between the viewer and the photograph has led her into an exploration of architectural and spatial arrangements for her work. Singh designs standalone “museums” for her photographs that, as she described in a recent talk at the Silver Eye Center for Photography in Pittsburgh, “liberate the photograph from the wall.” Koyo Kouoh, a Dakar-based “exhibition-maker,” will similarly take the visitor’s relationship to artwork into her own hands. Kouoh is founding artistic director of RAW Material Company in Dakar, Senegal, and for the International she will organize “Dig Where You Stand.” This exhibition within an exhibition will mine the Carnegie Museums’ collections to reconfigure the galleries devoted to “Pre-1300, African, and Asian Art.” “Koyo’s piece would be a lever for clearing this out, something the museum has wanted to do for a long time, a rupture so that we can begin again,” Schaffner said. Though probing the term “international,” the exhibition meaningfully ties into Pittsburgh’s artists and histories. Conceptual artist Mel Bochner will make a homecoming, and Pittsburgh-based artists Lenka Clayton & Jon Rubin will develop a new work based on the International’s archives. This International will feature sculptor Thaddeus Mosley, whose wooden carvings were inspired by the Internationals of the early 1950s. Photograph from the archives of Teenie Harris, a prolific photojournalist for the Pittsburgh Courier, will offer a new look at the post-industrial city’s past. Though the International opens in October, the fun is already underway. One of Schaffner’s aims is to spark “museum joy” in visitors. In fact, the curatorial team is sharing the delight of all aspects of the exhibition, from the design process to the curatorial research, through the International’s website. Wkshps founder Prem Krishnamurthy’s article chronicles the charrettes that brought the editorial, curatorial, and design teams together early in the process to, in Schaffner’s words, “design for the unknown.” Travelogue essays written by writers who weren’t with Schaffner on her extensive travel research take the reader into new territories nonetheless. Illustrator Maira Kalman’s fanciful interpretation of Schaffner’s pilgrimage to Zaha Hadid’s Heydar Aliyev Center in Baku, Azerbaijan and historian Markus Rediker’s analysis of Vodou Surrealism in response to a curatorial trip to the Caribbean are particularly worth a read. Following Andrew Carnegie’s ambitions for the museum, Schaffner has tasked each artist to lead a public workshop, or “Tam O’Shanter drawing session.” Thaddeus Mosley has already done a workshop on jazz playlists, and a class used coffee to paint with Ho Chi Minh City-based collective Art Labor. In April, visitors can make zines with Mimi Cherono Ng’ok and artifact critters with Lucy Skaer. With many more events to be announced in coming months, this is already a very playful and political exhibition not to be missed. In a city as old as Philadelphia, it says a lot when a neighborhood is deemed of particular historical significance by the city's citizens. One such stretch in the City of Brotherly Love is Jewelers Row, a block-long concentration of retailers known for being the nation's oldest (and second-largest) diamond district. 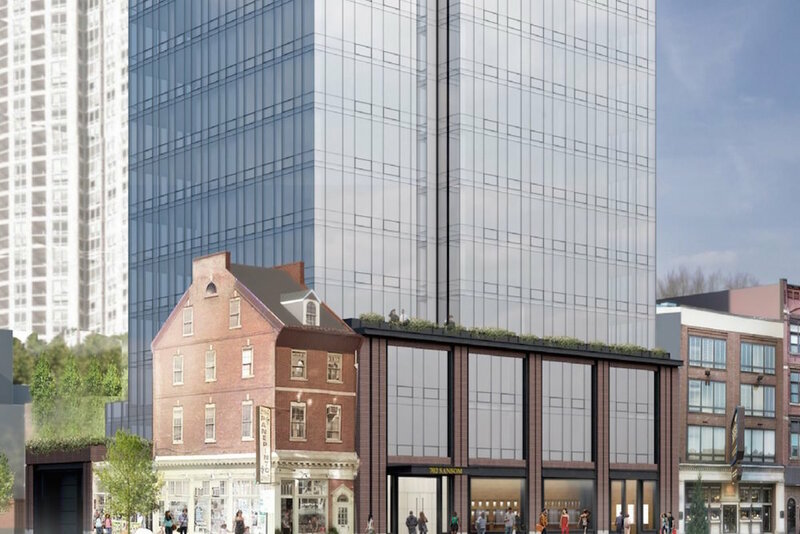 So when Philly 'burb–based developer Toll Brothers proposed a 29-story residential tower that would require demolishing a handful of Sansom Street buildings, it's no surprise that some in the city fought back. Now, after the latest version of the proposed project was unveiled by SLCE Architects for Toll Brothers, Pulitzer Prize–winning Philadelphia Inquirer architecture critic Inga Saffron is weighing in on the tower's latest iteration, deriding the building as an "architectural zombie." But that's not the only target of her criticism; Saffron also places some of the blame for its blandness on the city's Civic Design Board. The most recent renderings show an anodyne 24-story glass tower with a series of simple setbacks rising above the brick-lined street. Beyond the incongruity of the design, Saffron calls out the project as a missed opportunity for architectural expression. She places the blame not only on SLCE and Toll Brothers, but also on the city's Civic Design Board, which was founded in 2011 ostensibly to raise the city's level of architectural design by vetting all large projects. The problem, she suggests, is that the board can't outright veto a poor building, leaving developers the ability to apply again and again with simple concessions rather than innovative reimagining. In the case of the Jewelers Row project, earlier versions of the plan included the use of brick to reference the surrounding buildings, an idea that was scrapped after community feedback that the design overwhelmed the neighborhood. A subsequent plan showed an all-glass face with a pleated crown, but a row of third-floor verandas proved too controversial, leading to their removal a month later in the most recent iteration. "That’s how public relations works," Saffron says of the process, "not architectural design." And that, she argues, is the problem. 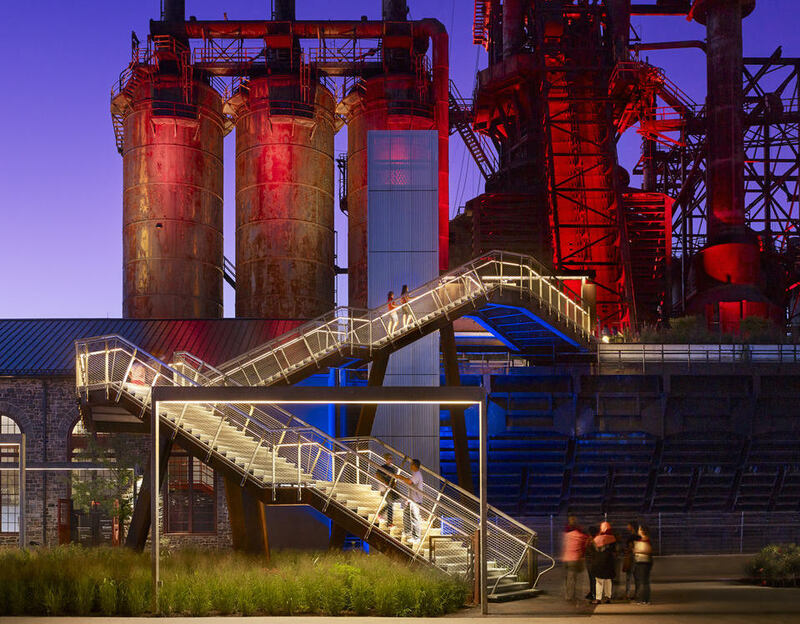 As Philadelphia expands, architects and designers find themselves increasingly working on projects outside of Center City. This is both good and bad news for those in Philly's periphery, which has seen rising rents but also a growth in architectural variation as well. 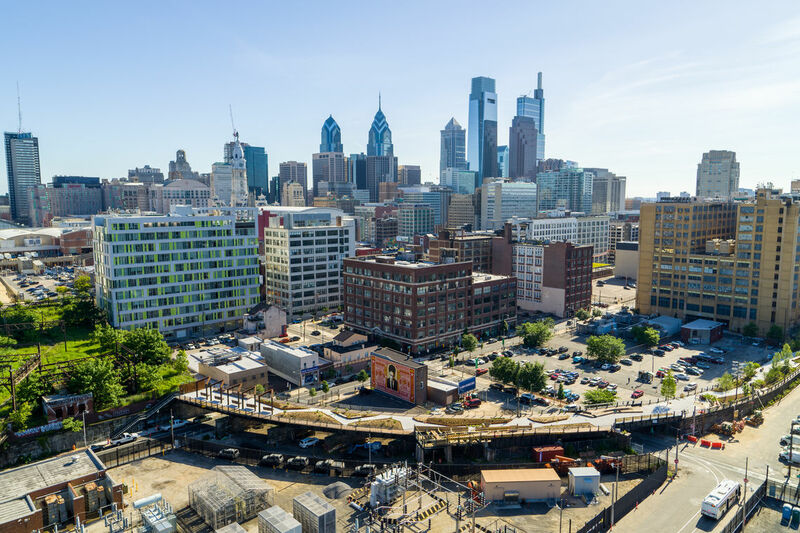 Two architects at Philadelphia-based firms: Scott Erdy, Principal of Erdy McHenry Architecture, and Eric Oskey, a Partner at Moto Designshop, are contributing projects outside of Center City at various scales. Speaking to The Architect's Newspaper (AN), Scott Erdy spoke of Millennium Hall, a student residence and retail project that was completed in 2009. Here, the end walls of the building are glazed, while the other facades are highly textured, comprised of an array of curved panels which form a composite aluminum rain screen. [intersitial] Such facade projections are seldom seen on student halls where cost limits intricacy. However, Erdy explained that eliminating material waste persuaded the fabricator to go ahead with it. "The folds and side edges are directly related to the size of the raw material fabricated," he said. "We were able to convince NovingerGroup [the fabricators] that it would cost them no more to create than eight inches of relief in the facade as it would be it flat—so long as wasn't wasting any material." "It was a great learning experience for us," he added. "Engaging with the people doing the work for us results in high quality and good price." The relationship with the fabricator was aided by the fact that Erdy McHenry Architecture had worked with them before on another project, Race Street Residence Hall, which was built three years prior. Erdy also spoke about another facade project. 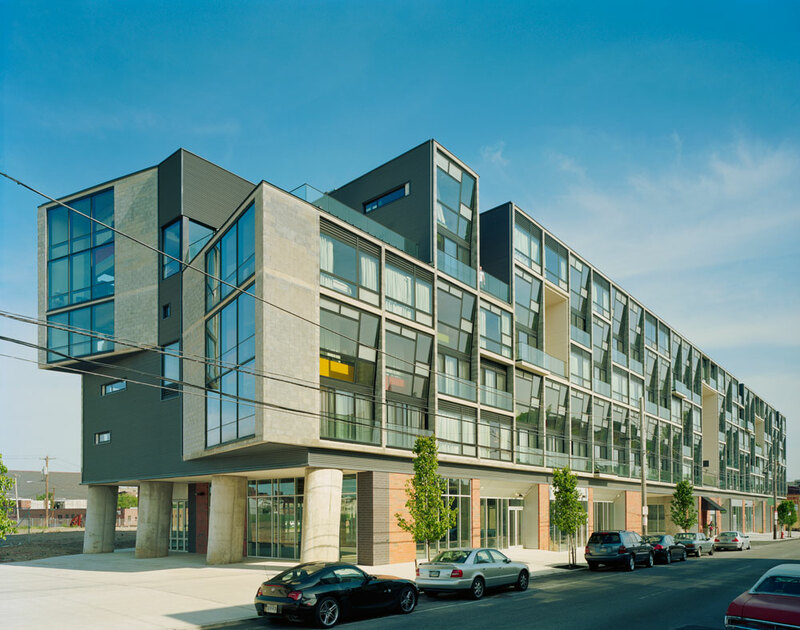 At The Piazza at Schmidt’s, a housing complex between Poplar and Fishtown, the facade operates on numerous levels to facilitate views in and out of the building, as well as, according to Erdy, to engage outdoor space as a "social exercise." Erdy elaborated on how the facade came to be. "The skin is basically a window system that was modified with the sub-contractor (GMI) to make it cost-effective," he said. "The gridded element of that building is a direct expression of the underlying structure." Also speaking to AN, Eric Oskey explained how Moto Designshop has been using layered screens at a residential scale. At the Walnut Estates, a residential complex finished last year, Oskey used a perforated brick wall to form a facade that is offset from the main structure. The white brickwork provided light and privacy to the luxury apartments behind the facade, but was also parted to allow substantial views to a swath of floor-to-ceiling windows. 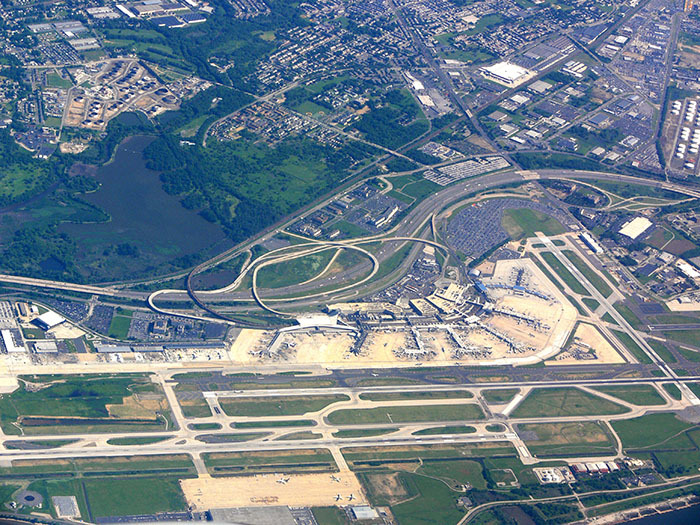 Oskey will be discussing this project and others in further detail at the upcoming Facades+ Conference in Philadelphia. Scott Erdy will also be present to elaborate on the two projects mentioned here, as well as EVO Tower (completed in 2014) and The Radian (completed in 2009). At their panel, "Philadelphia’s Design Trajectories: Growing Beyond Center City," Erdy and Oskey will be joined by Danielle DiLeo Kim, who will discuss how buildings can come together and activate the street level and how facades, as she describes, can act as "identity makers for cities." 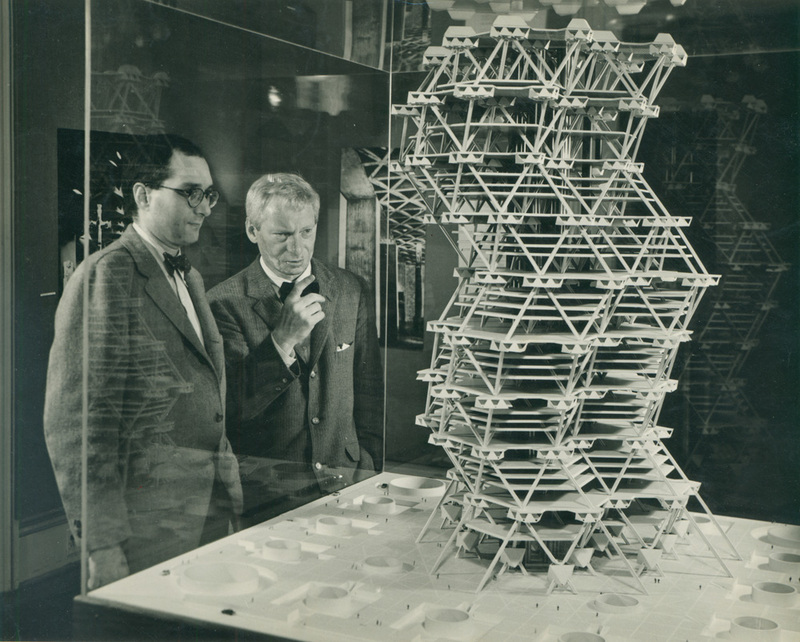 Facades+AM Philadelphia is being held at the National Museum of American Jewish History on September 25. More information on the conference can be found at am.facadesplus.com. Seating is limited.